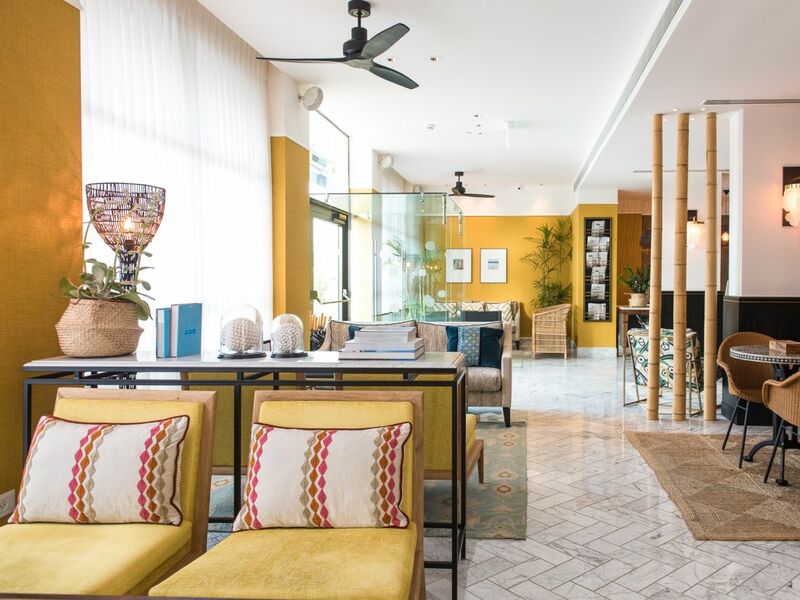 Located on HaYarkon Street in the beating heart of vibrant Tel Aviv, Melody is a boutique hotel that integrates the best of what the city has to offer: warm, intimate hospitality, tons of indulgent amenities and great access to tons of nearby business and leisure sites. Simply the best of the best, or in other words, music to many guests’ ears. A gem adjacent to Tel Aviv’s beachfront and boardwalk (near the Hilton Beach) and facing Independence Park, Melody Hotel provides a relaxing, enjoyable environment for business people, families and couples to unwind after a long day in the boardroom or out on the town. 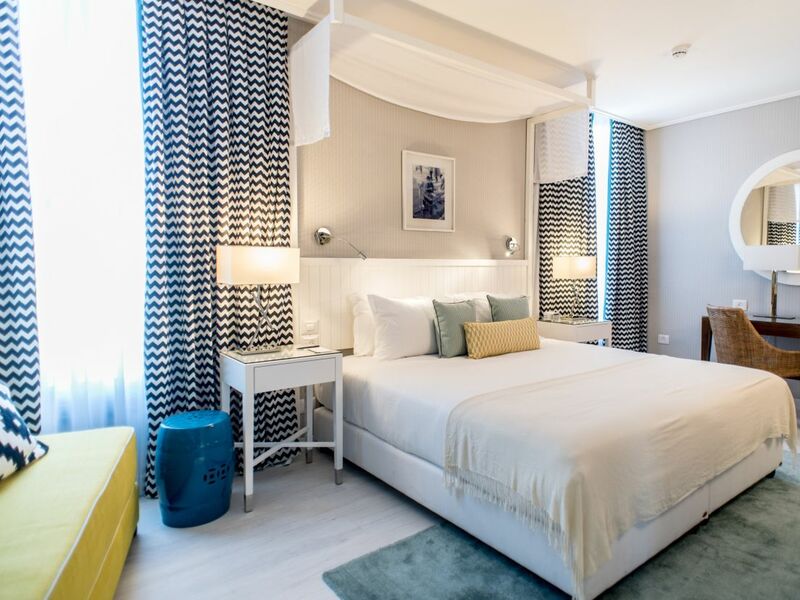 Each of the hotel’s 52 rooms, including family rooms, is designed with the Mediterranean Sea in mind, with crisp, clean, yet soft fabrics, wood and glass furniture and large windows overlooking the crashing waves. A true oasis, within which you can recharge your batteries, before heading back out and enjoying more sand, shopping, clubbing and other Tel Aviv favorites. Melody hotel is located within walking or bussing (local transport is amazing) distance to many great Tel Aviv sites: Kikar HaMedina, the Tel Aviv Port, Nachlat Binyamin Crafts Fair, Hilton Beach, and of course, the city’s crowned commercial jewel, Dizengoff Street, where locals and tourists can mingle, shop, dine and enjoy being outdoors. Melody Hotel was designed to provide its guests with a more intimate hotel experience, without compromising on the grandeur and indulgence of large and chain hotel stays. As such, the hotel prides itself on its stellar, personalized customer service and also offers a wide variety of unique amenities, including free bicycle rentals, towels and beach bags that guests can use when soaking in the sun at any of the city’s nearby beaches. And every afternoon, guests can gather in the hotel’s lobby for “Happy Hour” refreshments, completely on the house! At Melody, work and play are the words of the day. Guests are expected to be visiting Tel Aviv for the first time and seeking to get the most out of their hotel stay. But when the day is done, or when guests are looking for some in-house business or leisure opportunities, Melody’s facilities truly shine. The hotel has fine business facilities, including designated at extremely comfortable conference rooms, which business guests can head to after spending time in Melody’s inviting lobby lounge and devouring the hotel’s delicious buffet breakfast. If work is not the reason for guests’ visit to Tel Aviv, or all work for the day has been completed, guests can head up to Melody’s 8th-floor rooftop, where they can gaze out at the breathtaking Tel Aviv skyline, sip drinks from the hotel’s bar, sunbathe, or just relax with a good book or playlist. And of course, what would a relaxing hotel stay be without Melody’s Sunday yoga sessions and massage room? 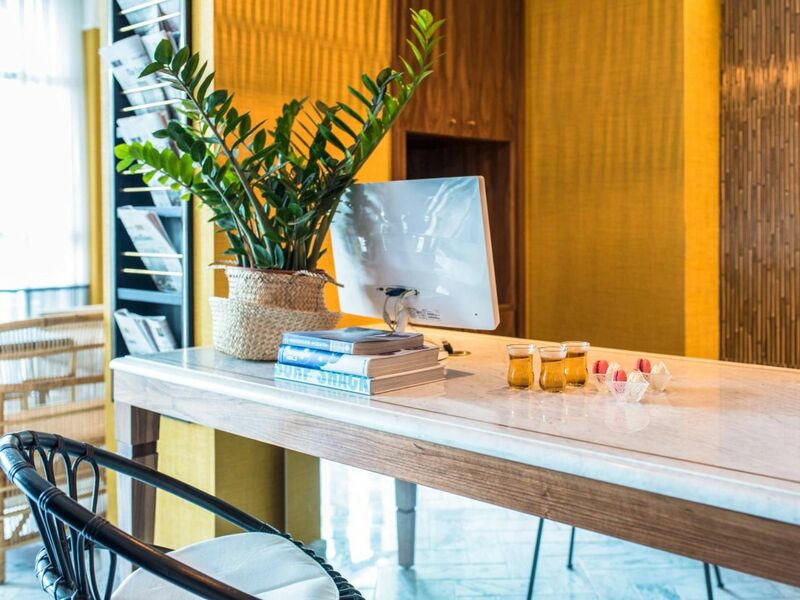 Guests can select from a wide variety of spa treatments that will leave them relaxed and invigorated – ready to take on the city and experience it in its fullest. 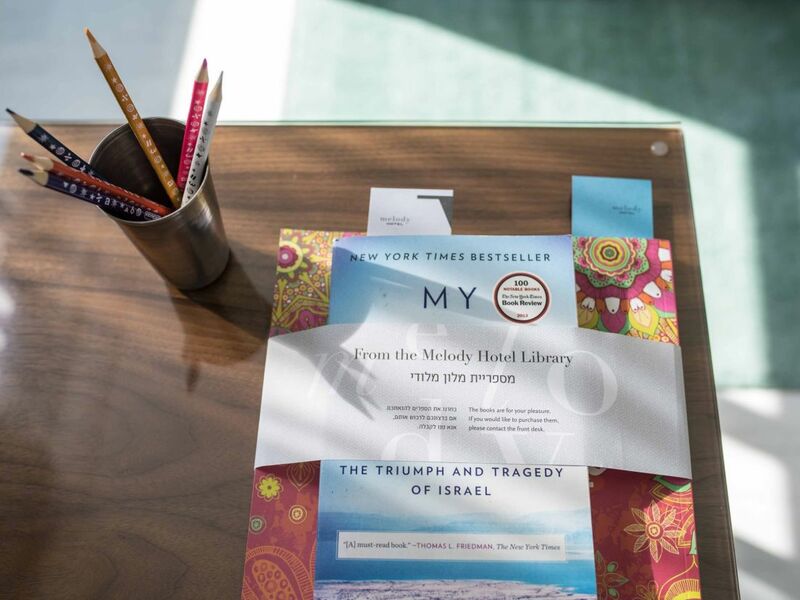 At Melody, the options for work and play are many and wonderful Guests can relax in their rooms or in good company, receiving tips and tricks for the ultimate Tel Aviv business trip or vacation from fellow visitors. And now, for a limited time only, guests can book three consecutive nights at Melody Hotel and receive free transportation to Ben Gurion International Airport (during July and August). Yet another way Melody shows how much the little things count. Prepare to be swept away by the melodic charm that engulfs this hotel. For more information or to book your stay at Melody Hotel in Tel Aviv, visit www.atlas.co.il/melody-hotel-tel-aviv.